The exterior has also been updated with sleek production headlights. This isn’t the first time a prototype of the all-new Mercedes S-Class has been spotted ahead of its debut next year, but these new spy shots give us a better idea of what to expect from the production model. Since our last sighting of the new flagship sedan, the S-Class prototype has dropped some camouflage and gained production headlights that look wider and are positioned lower than the current model's. Full matrix LED headlights adorn the front and back of the sedan, and we can also now the new sleek design of the rear lights that mimic the look of the CLS. Like most Audi models, they also now feature moving indicators. We also get a fresh look inside the cabin, revealing that the new Mercedes S-Class will have a central infotainment system with an absolutely massive touchscreen, although there are a few buttons at the bottom controlling the driving modes, hazard lights, and volume settings. We can also see that the digital instrument panel will be wider than the one featured in the current S-Class, but the rest of the interior is covered up. 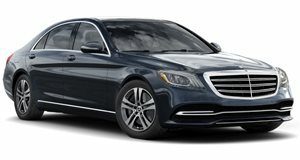 Being the automaker’s flagship sedan, the new S-Class will, of course, be highly technologically advanced. Mercedes promises the new model will arrive with hands-free Level 3 autonomous tech, which is a step up from the Level 2 technology offered in Tesla’s autopilot and Cadillac’s Super Cruise. Audi already offers Level 3 autonomous technology in the flagship A8, but Mercedes is on track to beat BMW since the iNext isn’t slated to arrive until 2021. While the exterior will likely have subtle changes, there will be some significant changes under the hood. According to a recent report, there will be two distinctly different versions of the S-Class. The standard version will reportedly be available with a range of hybrid powertrains using the latest 3.0-liter and 2.9-liter straight-six gasoline and diesel engines while delivering all-electric driving ranges of up to 62 miles. Joining it will be a pure electric EQ S sedan based on a new platform, which will have more power than the 402-hp EQ C SUV. Naturally, performance-focused AMG variants will also join the new S-Class family.